What does the winner with the most votes get? A FREE Newborn session. You’ll also get the choice of using one of my pre-made digital templates to add to your disk of photos to print for announcements! For your vote to count, you’ll need to visit my facebook fan page and click the ‘like’ button and post to my wall who you voted for. Easy right? I’ll need at least 10 entries to do the contest so don’t keep this to yourself! Spread the word! 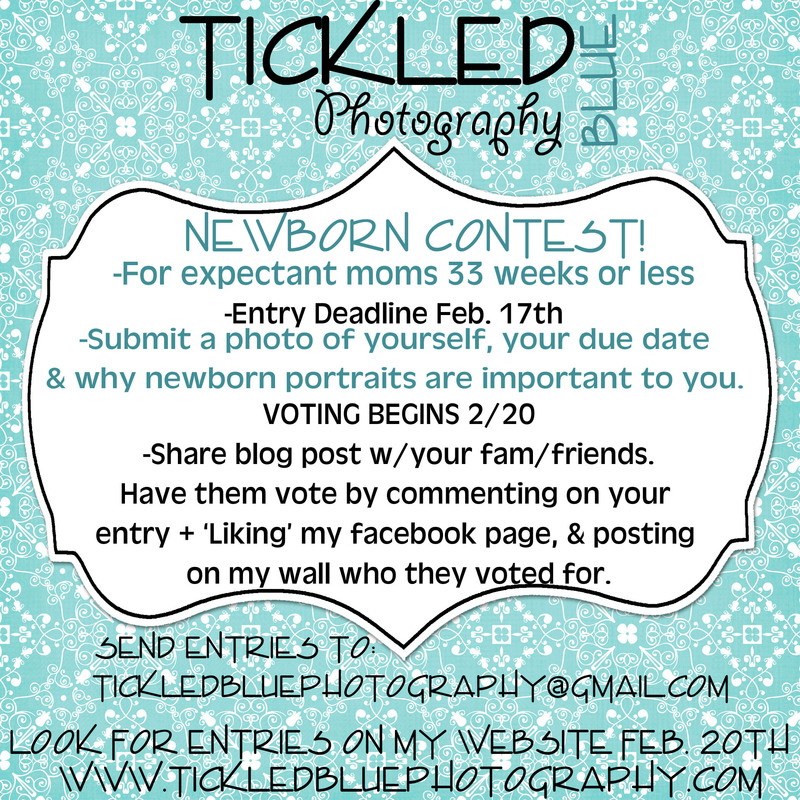 Discounted newborn session will be given to all moms who enter the contest, so you win no matter what! I’ll compile the entries and post to the blog by 2/20. Voting begins as soon as the entries are posted and will end Sunday, Feb. 26th. Winner announced Monday, Feb. 27th! Please note, all who enter will need to be willing to sign a model release allowing me to use the photos on this blog as well as my facebook fan page for advertising and to show off in my portfolio to existing and future clients. Can’t wait to start reading your entries!! !